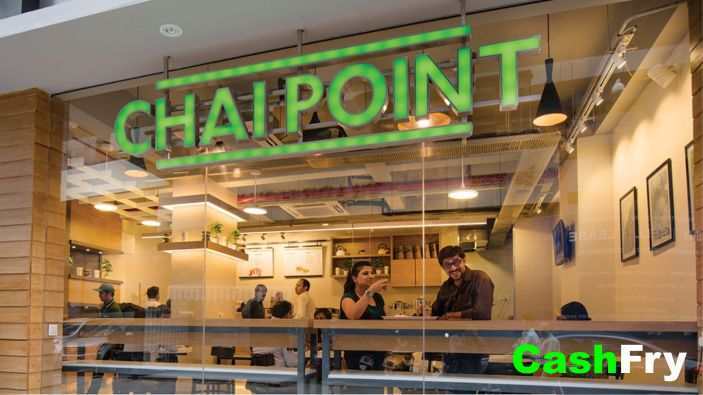 Chai Point is a chain of fast food restaurant. It was founded by Amuleek Singh Bijral in 2010. He is a graduate of Harvard Business School. He started his first restaurant in Bangalore in 2010. The best thing is that they serve Breakfast in the morning. 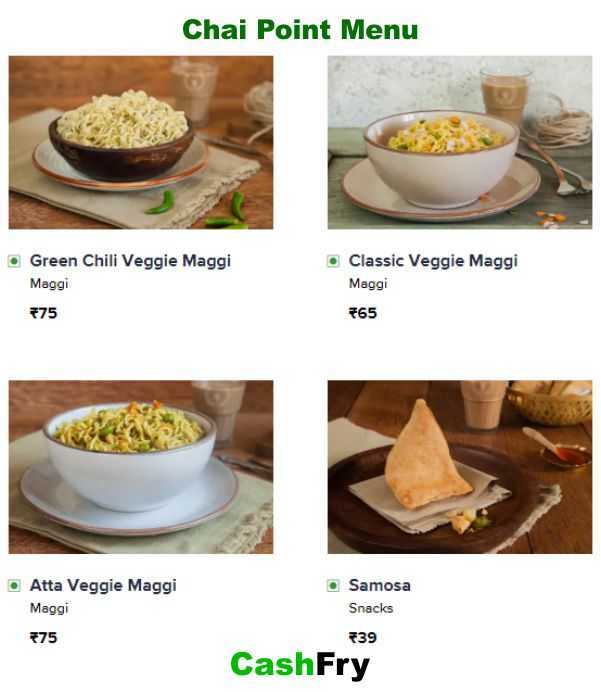 You can place an order for Tea, Lassi, Poha, Upma, Sandwich, Vegetable Maggi, Samosa and plenty of other fast food items along with Tea, the Chai. 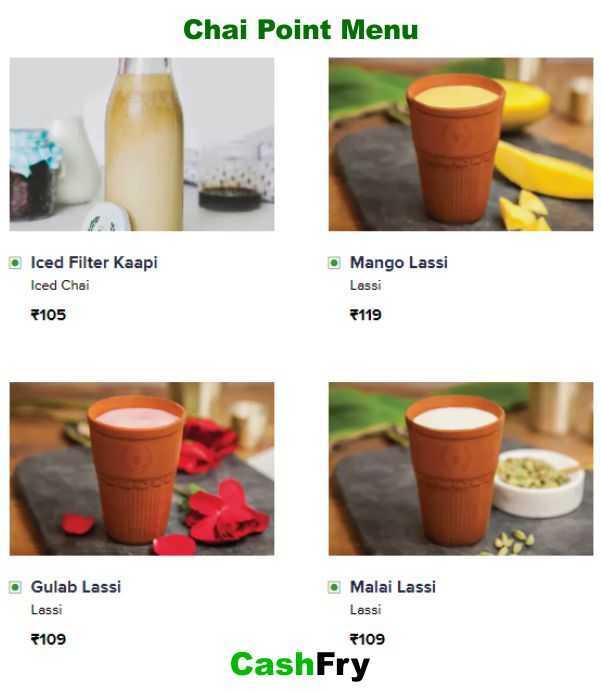 Those who do not want to drink chai can go for Traditional Kulhad Lassi. We are giving here below the Chai Point Menu Card with prices so that you may have a feel of the very reasonable prices. 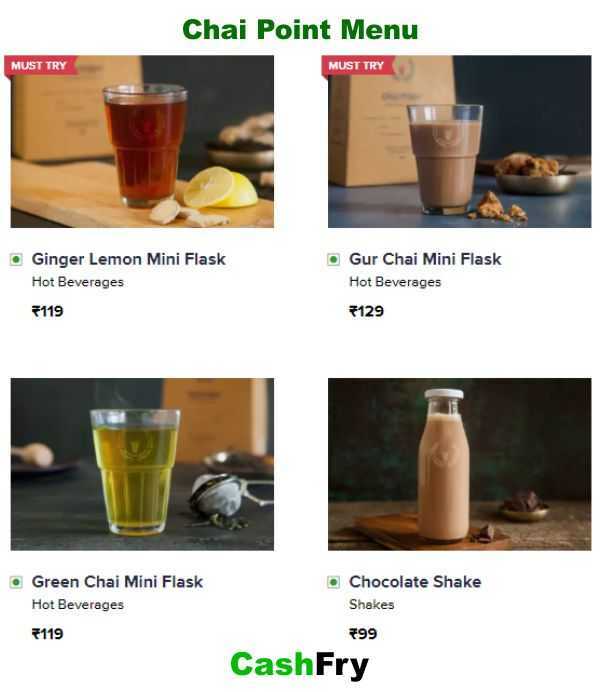 They already have sold more than 12 million cups of chai. They serve Chai in Glass as per the traditional Indian style. Many people prefer glass because they want to see the color of the chai. And that’s really Great because you get the feel of the quality of Chai. They have more than 50 physical stores in Mumbai, Pune, Bangalore, Delhi, Gurgaon, Noida, Hyderabad, and Chennai. 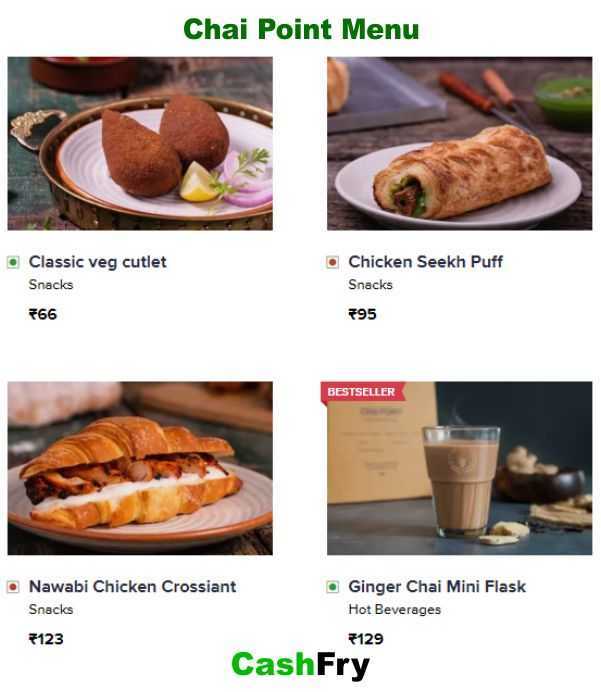 You can place an order at Swiggy at a discounted price with Swiggy First Order Coupons. 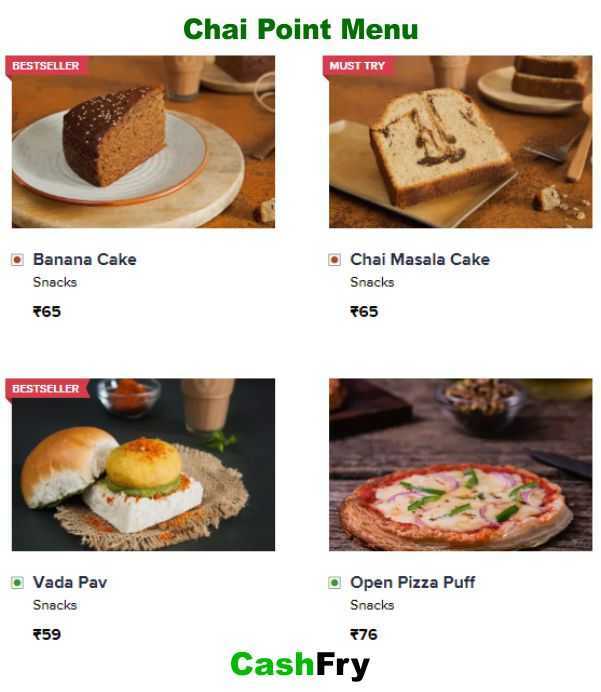 If you do not want to pay for delivery, there are Swiggy Free Delivery Coupons at CashFry. 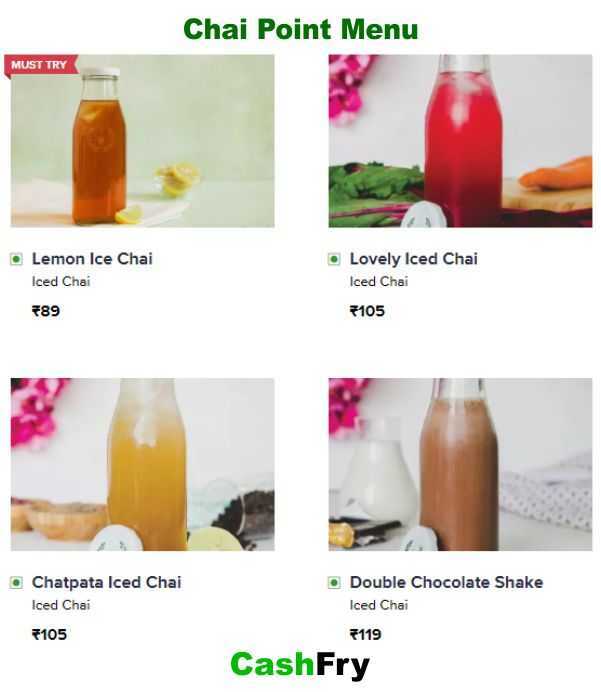 Find Chai Point Menu Card with Prices. 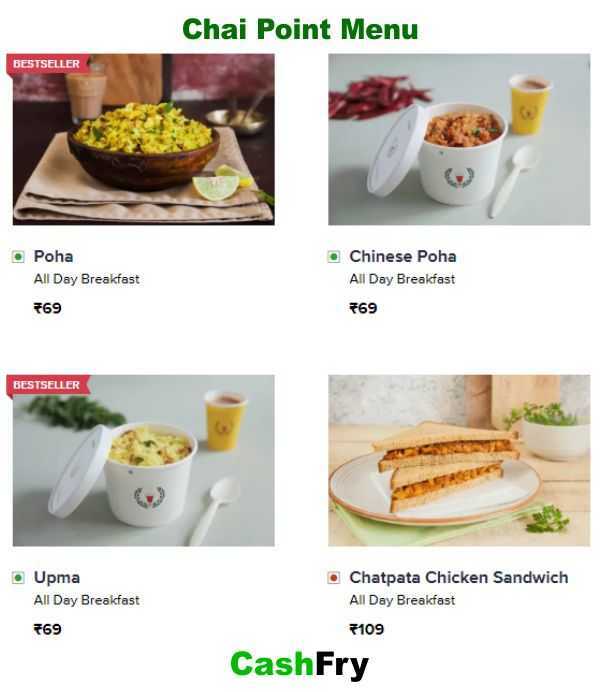 You can place an order for Chai, Lassi, Poha, Sandwich, Upma, Samosa and plenty of other Breakfast and fast food items. Chai point is the fastest progressing Fast Food Brand. This has been possible through their incomparable quality standards. 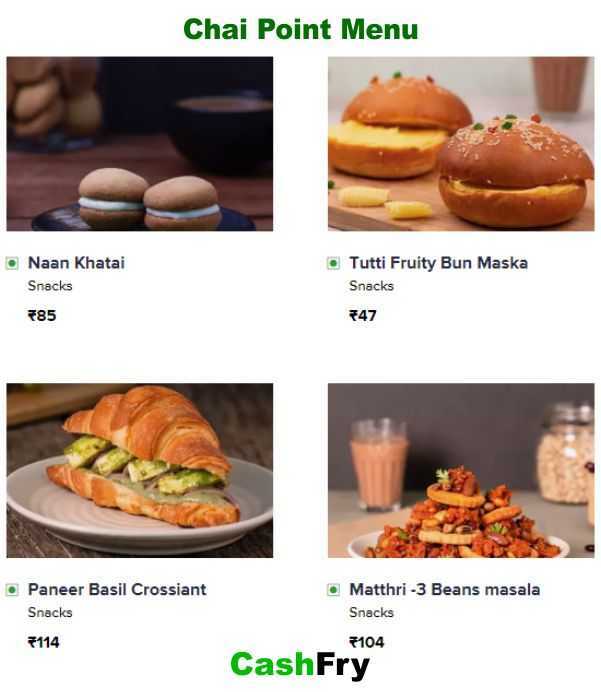 You can also check out KFC Menu India with Prices . KFC, Kentucky Fried Chicken is a popular range of restaurants for Non Vegetarian Food & Snacks in India. Simran is B.Tech in Computer Science from BITS Pilani. She is SEO Executive and looks after Content Marketing for CashFry.